The Victorian Peeper: "Victorian London" on Facebook! 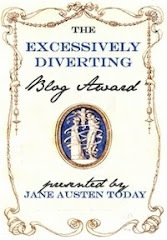 I hope you'll be as excited as I am about "Victorian London," the new Facebook counterpart to this blog. 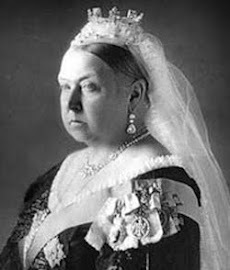 While "The Victorian Peeper" will continue to focus on a full range of topics in British cultural history during the reign of Queen Victoria, my Facebook page will narrow the focus to one city: the boisterous, tumultuous, industrious, maddening metropolis that was imperial London in the nineteenth century. Do you see the "Find Me on Facebook" box in the right sidebar? Just click on "Victorian London" to check it out, or, better yet, click on "Like" to receive regular updates on your Facebook Wall. Feel free to join in the first discussion topic, which is "Victorian Traces in Modern London." Where can you go in London to get a sense of what it might have been like to live there during the Victorian era? There are such places, and we'll explore some of them together in the coming weeks. I'm also expanding my presence on Twitter. You can follow me there at http://twitter.com/Tetens. As always, I welcome your feedback and suggestions. Please let me know how I can make both this blog and the new Facebook page more useful and enjoyable for you. 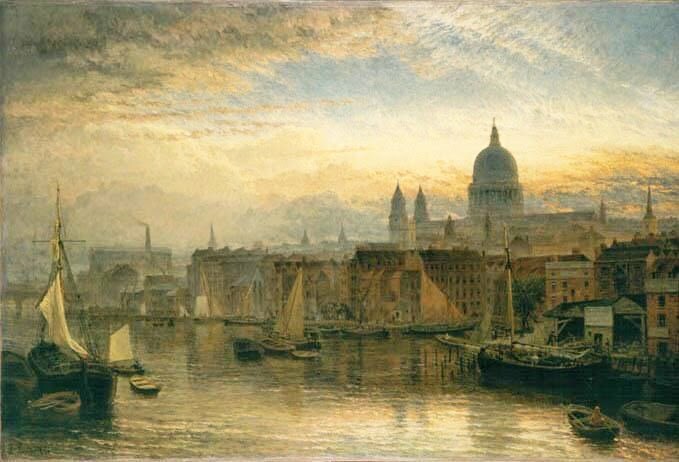 Shown above: Henry Dawson, St. Paul's from the River Thames, 1877.